Crystal Display Systems Limited is a specialist distributor of electronic displays, touch screens and related components. We do not manufacture. INCOMING GOODS are visually inspected and checked against all paperwork. Any non-conforming items are quarantined and returned to the supplier. We may potentially test in house. CUSTOMERS’ ORDERS are carefully reviewed before acceptance and processing. FINAL INSPECTION is made before packing and despatch to customer by our chosen method of transport. This will depend on the end destination and size / type of product. CERTIFICATE OF CONFORMITY is issued, at a small additional charge, when requested by the customer. QUALITY MANAGER – overall responsibility for quality rests with the Technical Director. 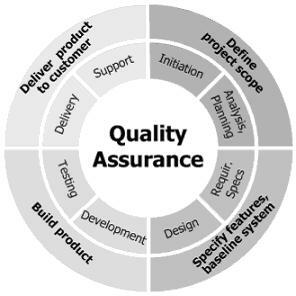 In developing this quality management system, we will work to the ISO 9001 Quality Management – Requirements Standard. Q.A. appraisers are always welcome to inspect our stores and systems. Should you wish to arrange such a visit, or require any further information, please contact your Account Manager. To develop a full understanding of the needs of our customers now and in the future. To work in close co-operation with clients, customers, suppliers and sub-contractors to provide high quality work and service, first time. To actively seek customer feedback and to use this as a basis for continuous assessment and improvement. To develop our employees to ensure all members of staff are capable of undertaking their work in a safe and responsible manner, in accordance with the Company’s Health and Safety and Environmental policies. To continue to fully meet and hopefully exceed the requirements of the client. To reduce waste and loss. To carry out all our activities as environmentally friendly as possible, thus helping to ensure a sustainable environment for the benefit of the community. Specific Company quality objectives within this framework will be set targeting areas within the system where we believe improvements can be made. These objectives will be reviewed and updated periodically by Company Directors to ensure we maintain focus on the continual improvement of our quality management system. Crystal Display Systems Limited is fully committed to delivering the objectives of this quality policy statement within all its activities and work undertaken by the Company. We are also committed to fulfilling all applicable legal and other requirements demanded of our business. We are continually developing the Company’s operation and upgrading IT systems and investing to a high degree in staff training to a professional level. Crystal Display Systems Limited’s approach is to listen to our clients and customers and to openly discuss the individual requirements of every contract, thus ensuring that our clients remain fully satisfied with our service delivery. Crystal Display Systems Limited’ management and supervisory staff have the authority to make decisions, within the scope of their responsibilities, and is charged with working in accordance with company procedures. Understand customer and client needs. Be responsible and accountable for the quality of work, with the aim of continuous improvement. We trust you will find this helpful and that it meets with your approval. Our aim is quite simple to offer our customers and suppliers the highest quality service and reliability and create a true partnership.